A viola bow is one of a fundamental thing that a player should possess aside from the instrument itself. Having the right viola bow could either make or break a violist’s performance, making it a crucial part of a player’s ensemble equipment. 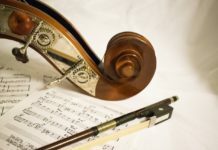 Since there are a lot of viola bows on the market, a young viola player might find it challenging to determine which among the viola bows is the best to use. Hence, violists should consider several features which would help them decide on the most appropriate viola bow for their instrument. 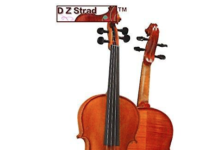 On this article, we are going to listing down ten of the best viola bows on the market. 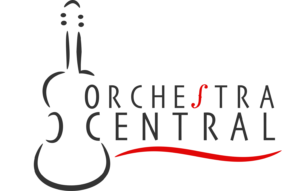 When you are looking for the best viola bows on the market, you should scrutinize through each of their features to ensure that you will not pick a bow that will only deter your viola experience. Since each of the viola bows delivers distinct elements and styles, consider finding the style which suits your preference the most. To guide in picking the most appropriate among the viola bows, you should consider the following features. One of the first things that you have to consider when deciding on which viola bow to choose is its material. There are four materials which are utilized in making viola bows: Brazilwood, carbon fiber, synthetic materials, and Pernambuco. Brazilwood is usually affordable and could be used by students. Viola bows made up of carbon fiber are more robust than wood bows. 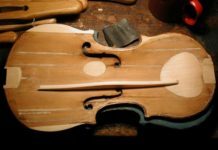 Composites and fiberglass make up the synthetic materials which are also used to construct viola bows. Synthetic materials are usually durable, albeit lower in quality. 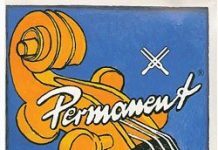 Finally, Pernambuco is characterized as lightweight yet sturdy. Another factor which should be taken into consideration when picking a viola bow is its weight. A heavier viola bow could create a larger sound. A lighter bow, on the other hand, could allow violists to try different strokes effortlessly. It should be noted that using a heavier viola bow could be tiresome. Yet a lighter bow might not have the sufficient power which is needed to perform better. The shape of the viola bow should be considered, too. Viola bows come in two configurations: a round bow and an octagonal bow. Round bows are less rigid than octagonal bows, providing violists which a better control. Octagonal bows, on the other hand, are stiffer than round bow. 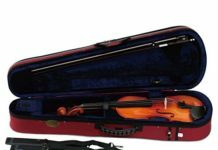 The features presented above are just some of the elements that you should look into before purchasing the most suitable among the viola bows on the market. It should be noted that the ultimate decision will still depend on the preference of the player. The Cresent Brazilwood Viola Bow is a full-size bow which is made of quality Brazilwood. It consists of a natural horse hair and an ebony frog. 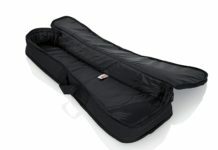 It is lightweight and well-balanced, providing viola players with an efficient bow for their violas. A straight and rigid bow, users are ensured of its quality because every viola bow of Crescent is entirely made by hand. The viola bow has a silver or artificial whale bow winding that is of high value. Ultimately, such bow delivers a good performance for its price. The Fiddlerman FCFB-VLA Carbon Fiber Viola Bow is a hand-made bow which is made up of carbon fiber to ensure durability while delivering a quality performance when used with the instrument. It is comprised of a quality Siberian horse hair that does not tangle quickly. Moreover, the viola bow is designed to distribute weight evenly, delivering a great balance when used. It is nicely decorated with copper mounted on the ebony frog. The bow is further equipped with an efficient arch which provides an excellent bounce and action. The Vio Music Top Carbon Fiber Viola Bow is constructed with the top carbon fiber material to ensure strength and competence. It is comprised of a natural Mongolian horse hair, an ebony frog, and a Parisian eye, providing maximum efficiency when utilized. The viola bow is designed to be well-balanced and lightweight, and its workmanship is topnotch as well. It creates a full, resonant sound a great spiccato. Overall, such bow is excellent for the money. The VingoBow Advanced Black Horse Hair Carbon Fibre Viola Bow is a sleek straight stick that is made up of carbon fiber to ensure durability. It consists of a natural horse hair and a sheep leather grip. It also includes an ebony frog with nickel silver fitted appropriately. 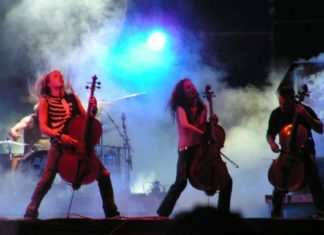 Due to its construction, violists are ensured of its strength, balance, and flexibility which are essential factors during performances. It could create a powerful and resonant tone, due in part to its hand-made craftsmanship. The Vio Music Braided Carbon Fiber Viola Bow is constructed with braided carbon fiber. It is equipped with parts such as an ebony frog with Fleur-de-Lis Inlay, a pearl dot decorated screw, nickel or silver thread winding, and a natural Mongolian horse hair. The viola bow is shaped round, providing viola players with better control. Well-balanced and lightweight, the bow could be an essential addition to the ensemble of beginners and professionals alike. The Vio Music Full-size 4/4 Pernambuco Viola Bow is constructed with a Pernambuco wood, offering maximum durability while being efficient. It is further equipped with a decent ebony frog, a natural Mongolian horse hair that does not fall apart quickly, and a silver thread winding. Its ebony frog is specifically designed with a Fleur-de-Lis inlay. Viola players are ensured that the viola bow is lightweight yet well-balanced due to its hand-made craftsmanship. The Shar Fusion Carbon Composite Viola Bow is made up of a high technology composite of fiberglass and carbon fiber. Durable yet highly efficient, the bow is recommended for students and beginners. 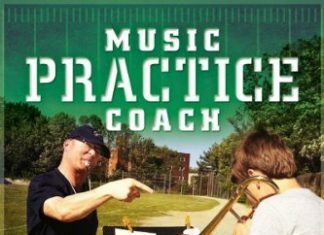 Professional musicians could also use it during performances. 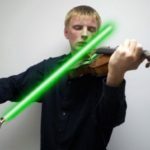 Moreover, the bow is perfect for budget-conscious viola players. Such viola bow possesses more weight than a standard violin bow, ensuring a reliable equipment for your instruments. The CodaBow Prodigy Carbon Fiber Viola Bow is a handcrafted bow made of carbon fiber with a graphite diamond weave finish. It also has a blended acoustic core, offering additional efficiency when used. Moreover, the bow is equipped with a traditional ebony frog, a sterling silver winding, and an engraved coda eye inlay. It also consists of Moroccan leather grip, nickel and silver fittings, a metal alloy tip plate, and silver medal horse hair. The bow is precision-engineers to provide musicians with professional characteristics which could be functional during performances. The J. LaSalle LB-10V Brazilwood Student Series Viola Bow is a resilient round stick which is made up of Brazilwood stick, delivering exceptional balance and flexibility for a bright and resonant sound and intonation. Its traditional non-slip sheepskin cushioned wrap provides comfort when used. Its rosewood frog with silver-plated button offers counterbalance and attractiveness. Its natural unbleached horse hair ensures users of long-term use. Its horse hair is also adhesive to rosin. Students and beginners will surely find the bow useful in rehearsals and lessons. The Glasser Fiberglass Bow with Horsehair is a round stick which made up of fiberglass, ensuring durability when utilized with a viola. It is further equipped with full metal underslides for durability, a composite frog, and a natural horse hair that creates a resonating and clear sound. Moreover, the bow is comfortable and efficient to use. Such viola bow is designed for students and beginners, especially for their practices and lessons. Before choosing a viola bow, you should ensure that your options are equipped with the necessary features that would provide you with a quality performance. Each of these viola bows has their fair share of benefits and drawbacks. It is up to you to decide which among them delivers utmost comfort and durability that would suit your preference.